The universe has had some good times, hasn't it? I count down the top 10 moments in the history of our cosmos in a guest piece for Ohio State's Origins Series! How did Einstein develop General Relativity, his (in)famous theory of gravity? I explore the intellectual leaps and bounds in my latest Space.com article! What is a magnetic monopole, why do they matter, and why is it a big deal that we don't find any? I discuss in my latest Space.com article! How do the sun and Earth interact? Find out more in my latest Space.com article. Small stars are actually a big deal, and I explain why in my latest article for Space.com! The Big Bang is a big deal, right? Well I explore why we believe it in my latest Space.com piece! How can the bending of light illuminate the dark corners of the cosmos? I explore in my latest Space.com piece! 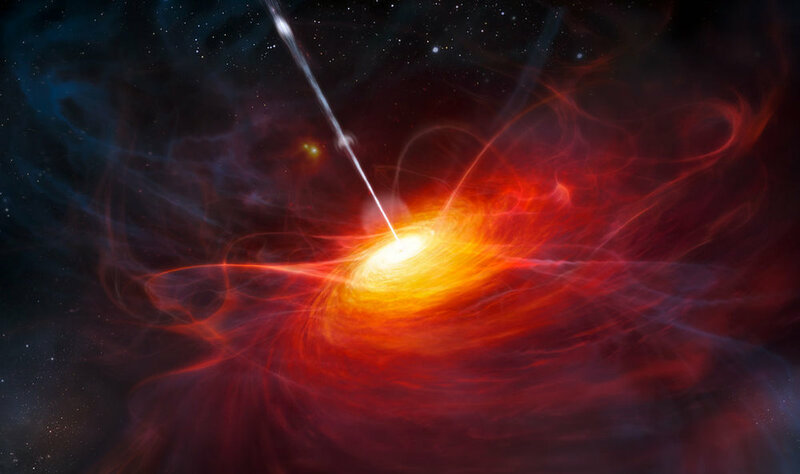 There's something absolutely fascinating about the quasar. Powered by giant black holes, but visible from across the observable universe. Read more in my latest Space.com piece! Yeah, holograms. You heard me. 3D info in a 2D package. Nice and cute, unless you're talking about the whole entire universe. Then I've got some explaining to do. Read more in my latest Space.com piece! I share my thoughts on the state of the astronomy and physics academic communities in this sobering Space.com article. How in the world does hydrogen become metallic, and what does it even mean? I explore this strange material and where it pops up in my latest Space.com article. What's so exciting about 2018? Find out in my latest piece on Axios Science! What is the ultimate destiny of the Voyager probes? Honestly, it's pretty bleak. Read more here. 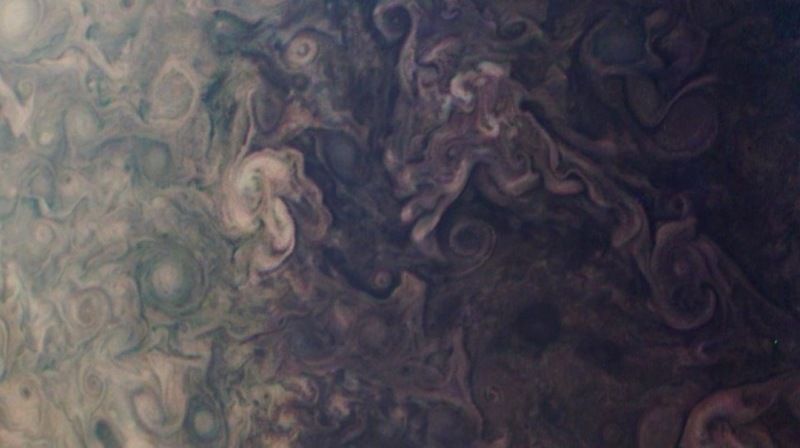 My latest piece where I talk about science, art, and possibly magic happening in orbit around Jupiter. Read more here.